Road traffic is the most dominant source of environmental noise in Europe. It is estimated that 125 million people are affected by noise levels from road traffic greater than 55 decibels (dB) Lden, including more than 37 million exposed to noise levels above 65 dB Lden. 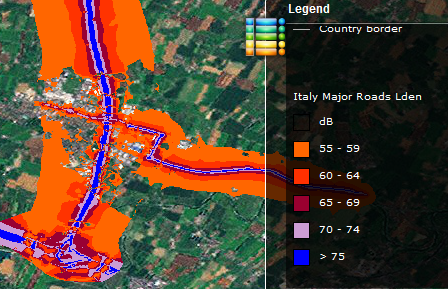 industrial noise within urban areas (300 000 people exposed above 55 dB Lden). Lden is the common EU indicator that corresponds to the average noise level throughout the day, evening and night, to which a citizen is exposed over the period of a year. More detailed data on the scope of the noise pollution problem in Europe is presented in the European Environment Agency's report Noise in Europe 2014. 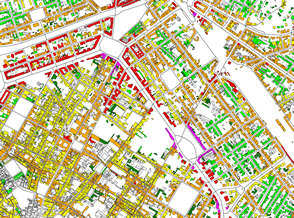 The European Environment Agency and its associated European Topic Centre on Land Use and Spatial Information also maintain the Noise Observation and Information Service for Europe, which displays spatial information on noise exposure in Europe, based on strategic noise maps provided by Member States.